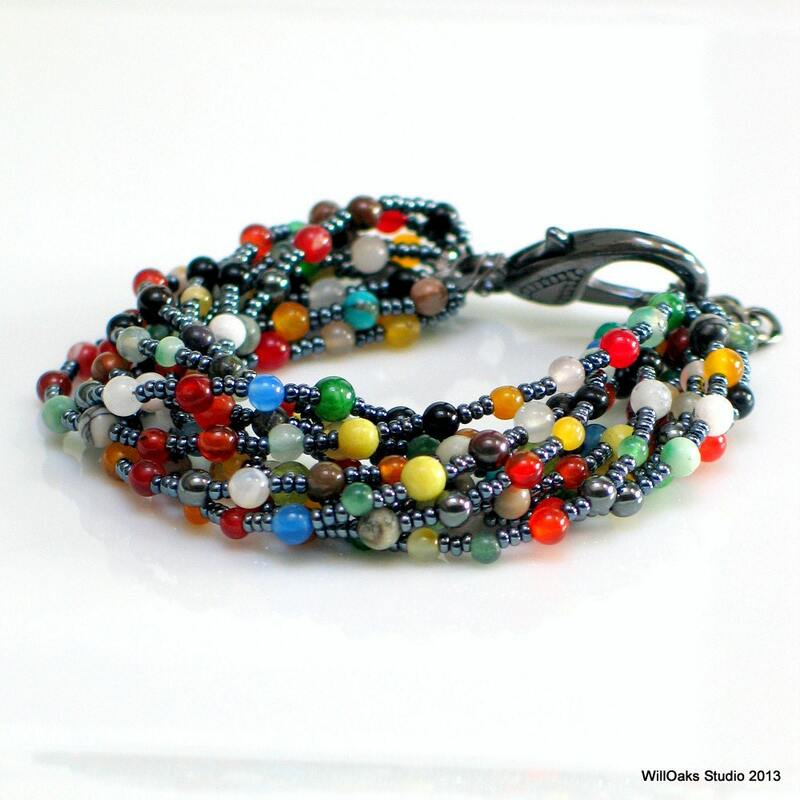 Ten (10) individual strands jostle for space, mix and mingle as a mixed color tapestry of color mixes against a dark gray background. 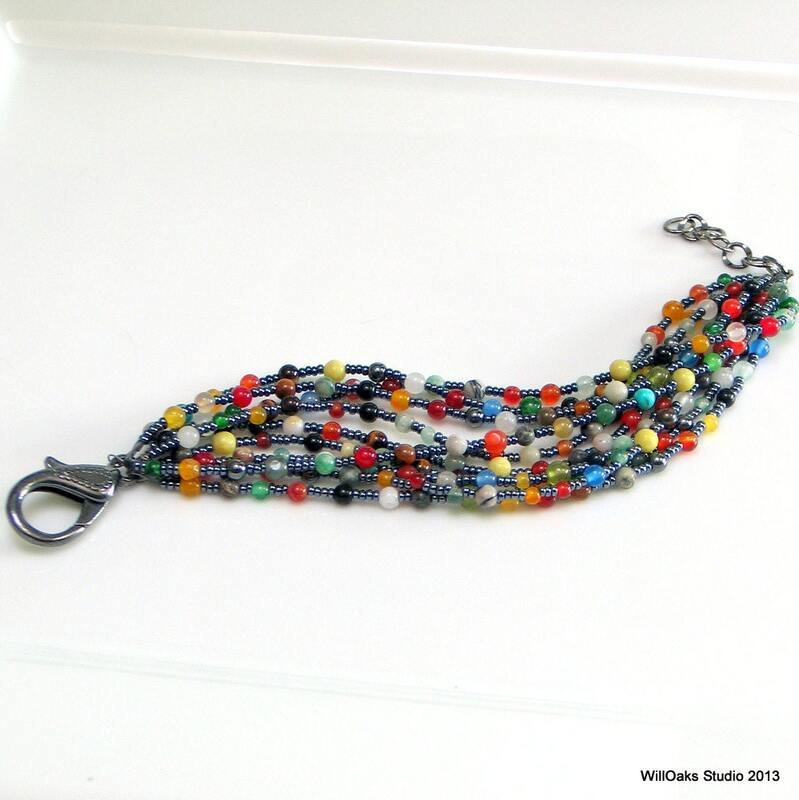 The assembled cluster of bead strands measures just under 8" stretched flat, includes a 1" extension chain to adjust the fit, and can also be worn twisted for a different effect. 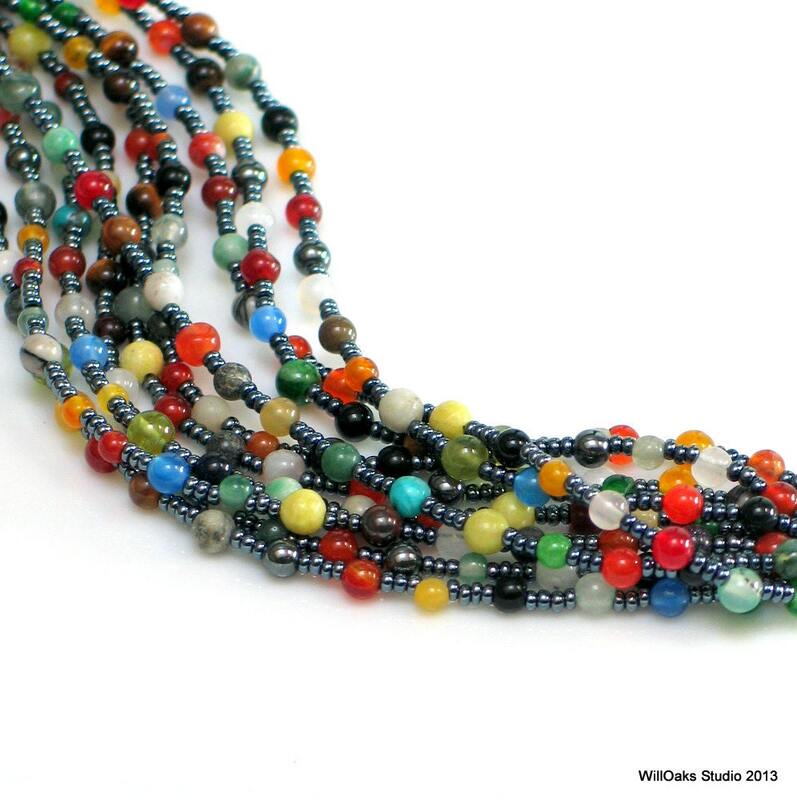 The 3 mm to 4 mm stone beads are a random mixture in a rainbow of shades and many different kinds of stones-natural, heated and dyed; quartz, agates and others--for a full range of colors. Each bracelet will be unique but similar to the photographs. The 8" length fits most wrists due to the thick cluster of strands, and can be adjusted to be worn longer with the extra links in the chain. There's a rich, bright effect from the interplay between the deep dark gray and the stone collection. 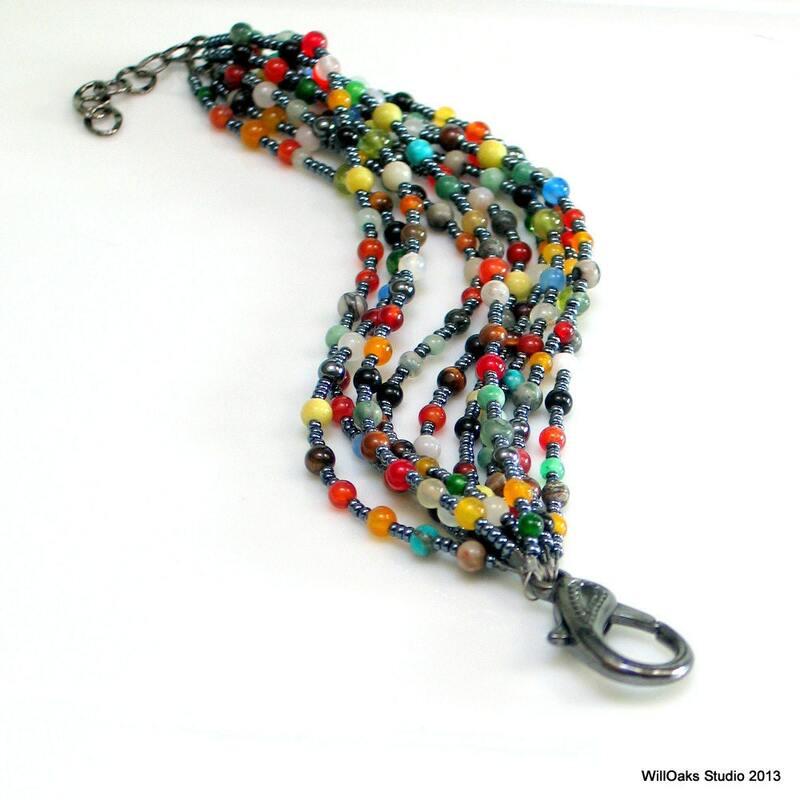 Finished with dark gun metal extension chain and an over sized lobster claw clasp. Made to order. 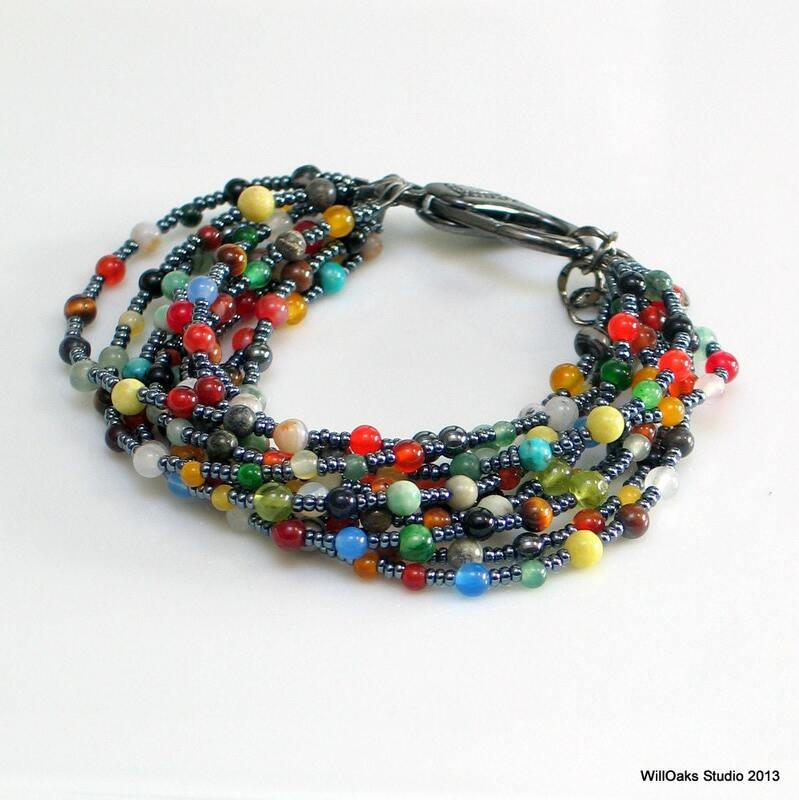 This one of the most gorgeous bracelets now in my jewelry box! Karen did an amazing job with my requested customization of the fastener, and I am so proud to wear this out and about. Thanks, Karen!